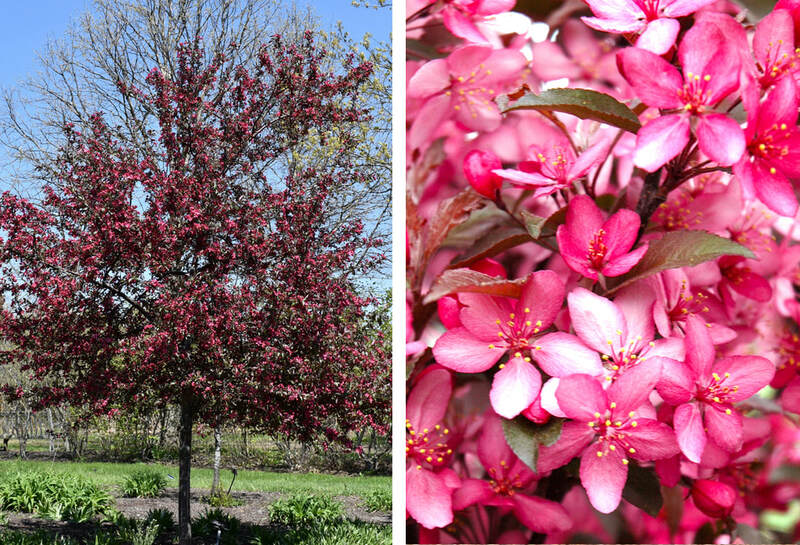 Bright pinkish red flowers combine with deep purple cutleaf foliage to present a stunning crabtree; excellent upright form, branching and density; demonstrates great resistance to the common diseases. ​This tree will require occasional maintenance and upkeep, and is best pruned in late winter once the threat of extreme cold has passed. It is a good choice for attracting birds to your yard. It has no significant negative characteristics. ​This tree should only be grown in full sunlight. It prefers to grow in average to moist conditions, and shouldn't be allowed to dry out. It is not particular as to soil type or pH. It is highly tolerant of urban pollution and will even thrive in inner city environments. This particular variety is an interspecific hybrid.